I am now working part time for the Canal & River Trust as a volunteer groundsman, working hard to ensure that the landscaping next to their locks stay rubbish free and aesthetically pleasing. They haven’t thanked me for the work I do probably because they don’t know I’m doing it yet. As you approach Calcutt Boats from Napton Junction your first view of the business is as you slow down ready to negotiate Calcutt Top Lock. Last winter I spent a week taming what used to be the lock keeper’s cottage garden. When Calcutt Boats opened for business forty years ago, owner Roger Preen lived in the dilapidated cottage with his wife Rosemary and two small children Matthew and Catherine. In more recent years, the cottage has been home to marina manager Martyn and his wife Sue. Neither of them were very interested in the garden so the Calcutt grounds team, Pat and I, have added the garden to the areas we tend. The cottage garden is Calcutt’s responsibility but the landscaping the other side of the garden’s black and white painted iron railings is looked after by the Canal & River Trust. Unfortunately, they haven’t been looking after it very well. We see the Trust’s landscaping contractors maybe once a month. Once a month, at a time of the year when we cutting the grass around the site every five or six days, is not often enough to keep the area looking smart. Even on their monthly visits, the time spent in any one area is very brief. It’s not the fault of the guys driving the nippy mowers or scarily powerful strimmers. They have a huge amount of ground to cover each day so they can’t spend the time I’m sure they would like on the areas they cut. Sadly, if we want to give a good first impression of Calcutt Boats to visitors who arrive here by boat, we will have to do the work ourselves. At 8am on Tuesday, a beautiful morning under a cloudless sky, I loaded one of our two 150lb three-wheeled mowers onto the rear deck of a moored hire boat to transport it a hundred feet onto the towpath side of the canal. By the time I had unloaded the mower and temporarily moored our hire boat on the bollards close to Calcutt Top Lock’s entrance, masses of bruised purple clouds hung over me, lightening their load by dropping enough water on the grass I was cutting to make my grass cutter look more like a boat than a mower. I didn’t want my boat to obstruct the lock entrance for long so I battled through the deluge for half an hour until the cutting was complete. Of course, the minute I finished, the rain stopped and the sky returned to its cloudless blue. Don’t you just love the English weather? Wednesday was yet another grass cutting day followed by Thursday, the first day of my “weekend” Sally and I spent most of Thursday eating. We drove into Leamington Spa using the excuse that we needed to visit the EE store to unlock Sally’s old iPhone and visit Homebase to get some tools. We could have sent the unlock request via the EE web site, and we didn’t really need the tools. What we really wanted to do in Leamington Spa was visit Nandos. We love Nandos fiery chicken and Mediterranean salads so we shared a whole chicken, finished off with an ice cream each and then wandered back to the car, stopping for an hour in Leamington’s beautiful and tranquil Jephson Gardens,where we had another ice cream each to finish off our gluttonous outing. Sally was back at work on Friday. For me, the day should have been spent newsletter writing, but I’m afraid that the weather was too tempting. I’ve gone into more detail below. I was back at work on Saturday and, unusually, I wasn’t working on the wharf. We had a full compliment of wharf staff and instructors and only four boats scheduled to go out in the afternoon. As we had eight boats due back in though I decided to hang around to give them a hand to take the boats down through the lock and reverse them onto the wharf. Our hire boats are due back at Calcutt at 9am but they can arrive at the lock waiting to be taken down any time between 8am and 9.30am. While I waited for the boats to arrive at the lock, I raked the grass which I had cut at the beginning of the week next to the towpath. Greeting the happy hirers at the end of their holiday is always a pleasure. In most cases they have had a wonderful time. Many are complete novices when they begin their cruise and are often very nervous boat handlers. Usually a week on the water has transformed them completely. Yesterday’s batch were particularly interesting to talk to as they had set out with the wind blowing hard enough to deter even experienced boat owners. As the week progressed, the weather improved. When they arrived at the lock yesterday the sun was blazing from a cloudless sky and the windless water was mirror-smooth. By 9.30am all the boats were safely back on the wharf so I abandoned my raking for a while to cut the grassed car parking area in front of reception. Then I abandoned the car park grass cutting when one of the ride-on mower’s drive belts snapped. It’s lasted two years so I can’t complain. Unfortunately I won’t be able to get a replacement now until Tuesday or Wednesday. At the rate of growth at the moment it will be waist high by then. I went back to my lock-side raking at a now very busy lock. Hire boats were out in force including some early starters from Black Prince at Wigram’s Turn marina. I watched one novice crew try unsuccessfully to lower the water level in the lock by raising the upstream paddles. After five minutes I pointed out their error. They thanked me before nervously heading for the next lock. And then we had some excitement. I told you about an accident at the lock recently and wrote about the dangers of boating in general and the potential for accidents in locks in particular. Yesterday’s accident was in the lock. New live board boaters Janet and Andrew Ledbetter had moored their boat on the towpath above Calcutt Top Lock half an hour earlier so that they could visit our chandlery. Andrew was concerned that their three year old rescue German Shepherd, Lucky, had been a little too enthusiastic crossing the lock gate on the way to the chandlery so to protect him, so he put the dog on a lead for the return journey. Half way across the gate, Lucky lunged forward, so Andrew pulled on his lead to check him and pulled Lucky off the gate and into the lock where he hung, still attached to the lead and Andrew’s hand, until the pain from the lead handle stripping skin from his hand caused Andrew to drop the heavy dog and his lead into the empty lock and onto the sill. The boat entering the lock nosed forward so that the teenaged boy on the front deck could reach Lucky where he stood trembling ankle deep on the concrete platform. The boat couldn’t get close enough to the dog because the bow hit the sill so we decided to close the gate and slowly raise a single paddle to gently introduce water in the lock to float the boat’s bow over the sill and closer to the frightened and shivering Alsatian. By the time there was enough water in the lock to allow the boat’s bow to move forward towards the dog, the water had risen to a depth over the sill too deep for the dog to stand, which panicked him into thrashing about in the water looking for a way to escape. Lucky was a heavy dog and too difficult for the teenager to pull on board from where he lay across the bow. He wasn’t doing the dog any favours either by trying to pull him on board by his collar. All he succeeded in doing was choking the terrified animal. I climbed down into the lock and onto the boat’s front deck, reached down into the water, grabbed Lucky by the scruff of the neck and hauled him on board. It was fortunate for both me and for the dog that Lucky had a very placid nature and didn’t once complain about the rough treatment he received from two complete strangers. We filled the lock until Lucky could safely jump off the front deck into the waiting arms of a tearful and thankful Andrew. Thankfully Lucky suffered nothing more than an unwanted cold shower from the leaking lock gate. Andrew vowed to let Lucky make his own way across lock gates in the future rather than try to protect him and actually put him in a more risky situation. He talked about getting a harness with a carry handle for Lucky but acknowledged that it would be pointless as he wouldn’t be able to lift him anyway. It’s that time of the year again. The meadows at Calcutt are a riot of colour, the site’s fifty species of trees and shrubs are bursting with spring buds of the freshest green and our car parks are full as boaters make the most of the early season sun. The weather’s looking good for next weekend, which might come as a bit of a surprise to the tens of thousands of boating enthusiasts who have visited the Crick boat show in previous years. Historically, the weather during the three day show is a little damp. Last year was the exception to the rule. Three days of glorious sunshine swelled the crowds and helped to make the 2013 show one of the most successful to date. The late May bank holiday weather forecasts is looking just as good this year though so the Northamptonshire marina is worth a visit on at least one of the three show days. I’ll probably be there as usual on the final day of the show hoping for a bargain but expecting just to empty the contents of my wallet into the pockets of the exhibitors offering products to help me improve my boat’s appearance and functionality. One of the many exhibitors worth paying a visit is Martin Lambert and his MaxMon boat monitoring equipment on stand Kingfisher 57 (sensibly under cover in case there’s rain on any of the three days). Martin installed a test unit on James just before I escaped the English winter for a month in the Philippines. The daily reports I received via email were very reassuring. My main concern at the time was the temperature on board. I’ve seen some disasters at the marina when boats suffered substantial damage because of inadequate heating during very cold spells. The MaxMon emails included graphs of the temperature on board every hour for the previous day so I didn’t have to worry about returning to burst pipes or, as happened just a month ago to one boat at the marina, finding out that the boat had sunk. A sensor can be attached to the unit which monitors the water level. If last month’s sunken boat had been fitted with one of these monitors, the owner would have been alerted to excess water in the engine room. He could have called us and we would have been able to immediately assess the situation and pull the boat out of the water before water entered the cabin. It’s a great bit of kit. You can see it in action at the Crick Boat Show Stand Kingfisher 57. 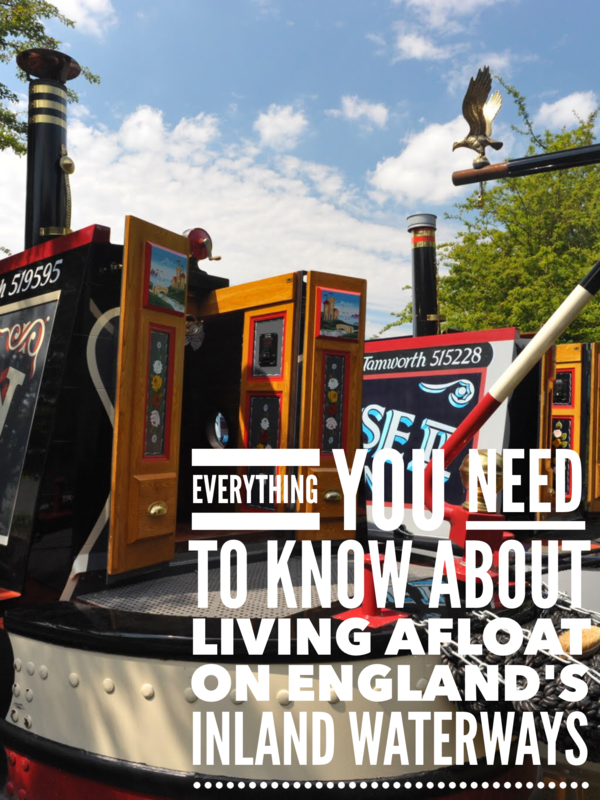 The thought of single-handedly managing a fifteen to twenty tonne boat measuring up to seventy feet in length as it travels along narrow canals and even narrower locks fills many potential boat owners with dread. Many existing boat owners too would rather spend an afternoon with Piers Morgan than take their boats out without a crew. If you are a potential boat owner and you subscribe to this view, you’ll be pleased to hear that single handed boating is much easier than you think. It’s true that certain aspects of negotiating the inland waterways in a narrowboat are easier with an extra pair of hands but generally you just need to be a little more organised when you are on your own. I prefer traditional “trad” stern narrowboats for a number or reasons; I like the additional living space available in a trad stern boat rather than a cruiser stern, I think they look better, and I think they are far better designed for the single boater. A cruiser stern is designed to accommodate a group of people standing at the rear of the boat keeping the helmsman company during a cruise. If there is a group to help you, the helmsman, then a cruiser stern narrowboat is perfectly OK. However, if you remove the convenience of an extra pair of hands, the cruiser stern’s additional space becomes a bit of a pain. When you’re cruising on your own, you will want to have everything you need close at hand; a waterways guide to check your location, water points, refuse stations, junctions and moorings, maybe a notebook and pen to record sights and sounds as you cruise, a pair of binoculars to zoom in on an elusive kingfisher perched on a bull rush, a camera to capture a moment forever and a set of waterproofs to protect you from the inevitable rain. On a cruiser stern narrowboat you can’t easily keep these things both accessible and dry. On a trad stern boat, the cabin is just a couple of feet in front of you. In fact, you’ll probably spend much of your cruising time standing inside the doorway to the engine room, immersing your lower half in the comforting heat rising from the engine. You’ll be able to lay the tools of your trade within easy reach on the roof when it’s dry or on a shelf inside the engine room when the rain falls. I also find a trad stern boat more comfortable during long spells at the tiller. A cruiser stern boat may well offer somewhere to sit, but sitting down often involves peering over the roof at the half-seen canal ahead. I can stand at the tiller on my own boat and enjoy a marvelous unobstructed view in front of me, but take the weight off my legs by leaning against the hatch. Think carefully about your boat’s stern if you know you’re going to be cruising alone most of the time. If you don’t have a centre rope on board, buy one. Or better still, buy two. A centre line helps you easily control your boat when you step off it to either moor or to negotiate locks or swing or lift bridges. Having two centre ropes means that whichever side of the boat you step off, you can always take a rope with you which isn’t going to get caught on roof obstacles. One of the most often seen mistakes made by inexperienced hire boat crews is their rope handling. You often see them try to hold the boat into the side by either the bow or the stern rope. The end result is that the end of the boat they aren’t holding often swings away from the bank into the centre of the canal. With a centre rope you can easily step off the boat and retain complete control, confidently and quickly secure the boat to the side before doing what you need to do. When you select your centre ropes, make sure that they will reach from where you secure them on the roof to about three metres past the boat’s stern. This extra length comes in very handy, for example, if you want to step off the back of the boat to pull parallel to a wharf to have it pumped out or to change the gas bottles in a bow locker. Remember your scouting days before you were thrown out for being a bad influence on the other scouts? Was that just me? Be prepared! When you are on your own you don’t have the get-out-of-jail-free card that you have when you have crew on board. You need to think ahead to make sure that everything you need once you leave your mooring is close at hand. Centre line: One of the first things to check is the location of your centre rope. It’s no good coiled up neatly on the roof if you can’t reach it when you need it. Always make sure that the centre rope(s) are within reach from where you stand at the helm. Anchor: If you are on or are about to join a river, make sure that you have an anchor ready, already attached to the boat and ready to deploy from where you stand at the helm. If your engine stops when on the river and you are being carried along by a strong current, you want to be able to bring the boat safely to rest as quickly as possible. Life Jacket: Essential for rivers, recommended for single handed lock work. Phone: You will be on your own probably somewhere in the countryside, often where others are not. If you hurt yourself, your phone may be your only means of calling for help. Make sure that your phone is within reach and fully charged. Waterways Guide: A good quality guide showing bridge numbers and facilities along the way is a must. Make sure you can reach it from the helm. Glasses: If, like me, you are a boat owner of a certain age, there’s a good chance that your youthful 20/20 vision has taken a bit of a battering. There’s no point in having a guide handy if you can’t actually read it. Location: If you do have an accident and need to let the emergency services know where you are, make sure that you can give them an accurate location. Make sure that you have your waterways guide to hand while you cruise and make a mental note of the bridge numbers as you pass them. Camera and binoculars: Ditto above. Waterproofs, Hat & Sunglasses: Whatever the weather, make sure you don’t get caught out. What Goes In Must Come Out: If you don’t have the time or the inclination to moor up before you visit the loo to get rid of all that coffee you’ve been drinking and you find yourself on an unpopulated stretch of river or canal, you can use a pee bottle (Much easier to use if you have the privacy of a trad stern to hide behind). I have an apology to make. I wrote the section above on Friday, the second of my two days off this week. I was trying to make sure that nothing was missing from the list above. I glanced for the umpteenth time out of the window at the clear sky and glorious sunshine and decided that the only sure way of including everything on the list was by refreshing my memory with a short cruise. Within minutes I was untying my mooring ropes and heading out of the marina. I planned to spend an hour out of the marina, two at the very most, but I’m very weak. Because I didn’t have much time, I turned left out of the marina entrance and headed north west along the Grand Union towards the Stockton flight. There are a couple of lock free miles before reaching a new place to turn just before the flight. Turning used to be possible in the entrance to Kate Boats’ marina but they weren’t very happy with boats turning there and often left boats moored close to the entrance to discourage the practice. The latest option is the recently developed Nelson’s Wharf which last saw activity in 1968 when the army’s trainee demolition engineers blew up the old cement works buildings to practice their fledgling pyrotechnical skills. The new wharf has been built by Willow Wren Training. The recently cleared short section of the old cement works arm makes a very easy to use winding hole. I don’t know what their official position is on boats turning there, but I received an enthusiastic wave from a talking on the phone in the doorway of the new all timber office as I nosed into the arm, so we’re off to a good start. I left the marina at 1pm. I should have been back by 2pm but as normally happens when I’m out on the boat I completely lost the will to complete the day’s routine tasks ahead of me. Instead, on the return journey and only about half a mile from the marina, I moored against the towpath, made myself a cup of coffee, grabbed my Kindle, rolled back the cratch cover and sat down to read. I don’t think I read more than a page before I was seduced by the gentle art of people watching as a stream of happy boaters cruised gently by. In between smiles and casual waves to happy cruisers, I tried to do a little work. I sat with my laptop across my legs with twitching fingers poised above the keyboard, but I couldn’t do it. I closed the lid and watched a mallard with her seven little balls of fluff, surfing over the wash from passing boats. I watched a crested grebe duck beneath the brown water in search of afternoon tea. I watched a flight of Canada geese wheel across the sky towards the marina. I watched and I sunbathed and I watched some more. I climbed off the boat to clean the windows on the towpath side, and I watched the world go by. I spent so much time watching that I didn’t get back on to my mooring until 6pm, just in time to get our evening meal ready, but far too late to make a significant impact on the newsletter. What I have been able to include though are the answers to some general boating questions which were included in an email I recently received asking me for information about lone boating. The email I received and my answers to the questions are below..
No, these issues aren’t specific to single handed boating but all information is useful so I’ll add the answers here anyway. Simply keep your tank full. Most narrowboat hold enough diesel to allow you to cruise and to heat your boat for many days at a time. Mine holds 350 litres which, I once spent half an hour on a cold and wet Sunday afternoon calculating, would allow me to travel from Calcutt to Braunston, turn left up the north Oxford before joining the Coventy, then the Trent & Mersey canals, hold my breath while I negotiated the Ribble link, explore the length of the Lancaster canal before turning round at Tewitfield then retracing my steps to arrive back at Calcutt a month later. All without stopping for fuel. But my not stopping for fuel odyssey wouldn’t necessarily be over. I could then cruise down the south Oxford to Oxford, join the Thames for forty exhilarating downstream miles to Kennet Mouth before spending the final eight days of my six week journey carefully steering around a profusion of live aboard boaters on the Kennet and Avon as I headed towards Avonmouth while I waited, at last, for my diesel tank to run dry. As you can see, you have to work very hard at running out of fuel. However, if you want to make absolutely sure that there is no danger of emptying your tank, make a dipstick for your tank. Buy yourself a 3′ – 4′ length of dowel, fill the tank up, push the dowel down to the bottom of your tank, mark the diesel level on the dowel as your “full” mark and then measure your half and quarter marks from there. Of course you may well forget to dip your tank on a regular basis so the simple solution is to keep it topped up. Topping the tank up also helps to reduce the risk of getting condensation forming inside the tank. I use gas for cooking and for water heating. We do a fair amount of each (especially since we’ve installed the twin tub washing machine on the boat and washing everything we own, virtually every day, has become a bit of an obsession with Sally). A 13kg cylinder lasts us about three weeks. Those who use gas just for cooking will tell you that a 13kg cylinder will last them for 3-4 months or more. We always have two cylinders in the bow gas locker. As soon as one runs out I switch to the other full cylinder and make sure I buy a replacement ASAP. I’ve never run out of gas. If you buy a boat with a gas water heater, you will probably waste a huge amount of gas. You will probably want hot water either end of the day for a shower and/or for washing dishes. For the rest of the day and night, maybe twenty three and a half hours out of every twenty four, your gas heater is unused but the pilot light is still burning rather expensive propane. By turning your pilot light off when you don’t need hot water can double the life of a single cylinder and cut your gas expenditure in half. I’m embarrassed to have to tell you that I only discovered this money saving tip fairly recently, and even more embarrassed to report that I haven’t yet done anything about it. When you’re out cruising, don’t miss an opportunity to top up your water tank. Of course you’ll have your trusty Pearson or Nicholson guide to hand to identify the water points along your route. If you have a boat and don’t use one of these guides, you’re missing a great deal. Personally, I prefer Pearson’s Canal Companions . They tell me a huge amount about the route I plan to cruise including quiet places to moor, places to empty our toilet cassette, pubs and shops close to the canal, winding holes and the lengths of the boats which can use them, bridges, roads and railways and the average cruising time along the illustrated sections. The guides also show the location of the water points along the route too. I’ve scanned page twelve of the Pearson’s Canal Companion: East Midlands to demonstrate what I’m talking about (with permission from Michael Pearson of course. Thank you Michael). Two weeks ago I mentioned that Sally and I are taking the boat out for a couple of weeks at the beginning of June. I didn’t need to, but just out of interest, I plotted the route on the excellent CanalPlan web site. Using the default settings, the route planner advised me to stop by bridge 6 on the first night. However, a quick glance at my Pearson’s guide persuaded me to ignore the suggestion. If you had to choose a place to moor on the network to guarantee a sleepless night, you would be hard pressed to pick a better spot than this with the suggested mooring’s close proximity to the thundering traffic on the M1 supplemented by more noise on the A5, the roar of trains speeding between London and Rugby and the hectic Watford Gap motorway service station relieving thousands of weary travellers of vast amounts of money for food of dubious quality. Instead, we’ll have a peaceful night at Braunston followed by five or six hours cruising the following day to get past the traffic noise to the tranquility of the open countryside after Crick marina. Returning to the subject of water though, we intend to spend a few days enjoying the remote and lock free summit pound so, thanks to our Pearson’s guide, I can see that after ensuring that our water tank is full when we leave Calcutt we can either top up at Braunston or briefly stop beneath the Watford lock flight. Braunston is too soon, and isn’t the best place to stop for water. We’ll make the quickest stop we can at Watford gap to top up before moving on. Without a waterways guide, the location of facilities such as water points would be a mystery. Back to the waterways guides again. They show locations of supermarkets close to the canals and rivers and also have a section giving further details on the stores available. Please note though that however good you are at planning your route, sometimes circumstances will get the better of you. Always make sure you have enough dry provisions to get you out of trouble. We have enough rice and tinned fish and vegetables on board to keep us going for a week if necessary. That’s it for part one of the two part lone boating newsletter. Next week I’ll discuss negotiating locks and lift and swing bridges.